A matai (chief) convicted of falsifying a certificate to register a matai title, Fofogamua Hawaii Lavea, has been jailed for a year and six months. “There must be no misunderstanding about the message the Court is sending to all title holders and would be title holders in the country." That is the comment rendered by Supreme Court Justice, Vui Clarence Nelson, in handing down the sentence. Prosecuting the matter was Lucy Maria Sio and Lavea was represented by Leota Raymond Schuster. Lavea of Moata’a was convicted of forging saofai certificate number 292 in January 2012. 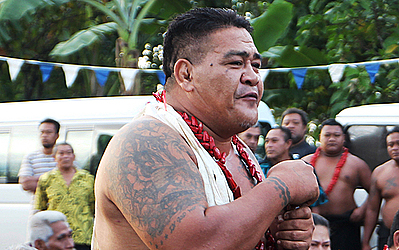 In December 2011 at Moata’a, Lavea conferred in accordance with Samoan custom and tradition the tulafale title “Toafaiga” in the family of Asi Leulua’iali’i Feagaiga Iva. “He was further found guilty of using this false saofai certificate at Mulinuu on 10 February, 2014, to effect registration of his Toafaiga title with the Registrar of the Land and Titles Court." Justice Vui points out that the salient circumstances are that the defendant himself filled out saofai certificate 292 and that saofai certificate purported to certify the proper bestowment of the title “Toafaiga” upon him at the saofai ceremony held at Moata’a on Christmas Eve, 2011. “The defendant is from the village of Moataa, but holds titles in other villages as well." “He knew he was not conferred the Toafaiga title on Christmas Eve, 2011. And that many of the particulars of the saofai certificate were false." “Furthermore he bullied the village pulenu’u into signing the certificate on 16 January, 2012, as borne out by the evidence." “Some two years later on 10 February, 2014, following the death of the sa’o of his family, he used the certificate to procure registration of ‘his’ title. “In doing so, he has committed the crimes of forgery and using a forged document." “These are serious offences; they strike at the heart of our social fabric and system. 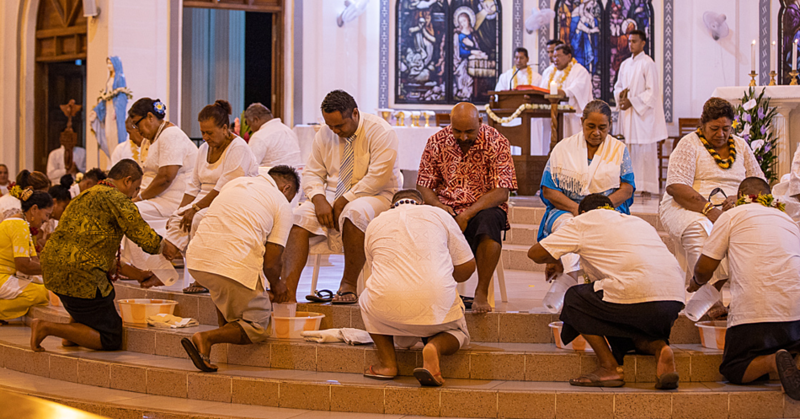 What makes Samoa unique in the world is our ‘faa-Samoa’, a combination of concepts and principles evolved over a thousand years of existence,” said Justice Vui. Justice Vui pointed the core of our “tu and aganuu” is the institution of the “matai” or family chief. “He or she makes all the significant decisions in the family and in the village as part of the saofaiga of Alii and Faipule or village council." “Matais also make all the important decisions in a district or Itumalo and ultimately in the Parliament which passes the laws we collectively and individually live by as a nation." The defendants offending strikes at the very heart of this structure constitutes an assault on the core and integrity of the precepts governing our way of life. “Because until a matai title is registered pursuant to the law, it cannot be used." “The registration process begins with a valid pepa saofai, the document that the defendant in this case forged,” he said. Justice Vui made it clear the gravity of the offending cannot be understated. “To falsify the bestowment of a matai title by forging a pepa saofai must be met by a strong deterrent penalty." “You do this and falsify a saofai certificate; this is likely your fate." According to Justice Vui, the penalty of imprisonment is consistent with penalties imposed in respect of other cases of forgery. 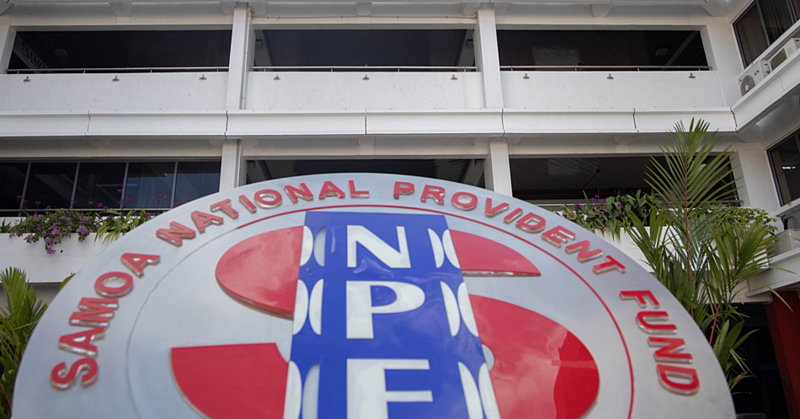 “In 2013, Parliament increased the maximum penalty for forgery by doubling it to 10 years in prison and increased the penalty for using a forged document to seven years in prison." “I deal firstly with the primary offence of forging the saofai certificate." “Apart from the cultural implications referred to, the offending is also aggravated by the high level of planning and pre-meditation it would have involved." “The defendant persuaded the pulenu’u to part with the saofai book which the pulenu’u foolishly agreed to." “This allowed the defendant free reign to insert whatever particulars he wished which he did in relation to saofai certificate 292." “There is no doubt the defendant gave considerable thought to his strategy to obtain a title in this manner without the approval of his family or the village." “He then waited until the sa’o of the aiga passed in 2013, before lodging the false certificate in February 2014 with the Lands and Tittles Court for registration." “The degree of criminal culpability in the offending is high." “This was grossly dishonest behaviour involving misleading everyone." “Misleading his family, misleading his village and misleading the Lands and Titles Court." “Because the Registrar proceeded on the basis of this false certificate to advertise the bestowment." “The prosecution has also advanced breach of trust and nature of the offending as further aggravating factors." “I have dealt with the nature of the offending already. Breach of trust has no application to the present matter." 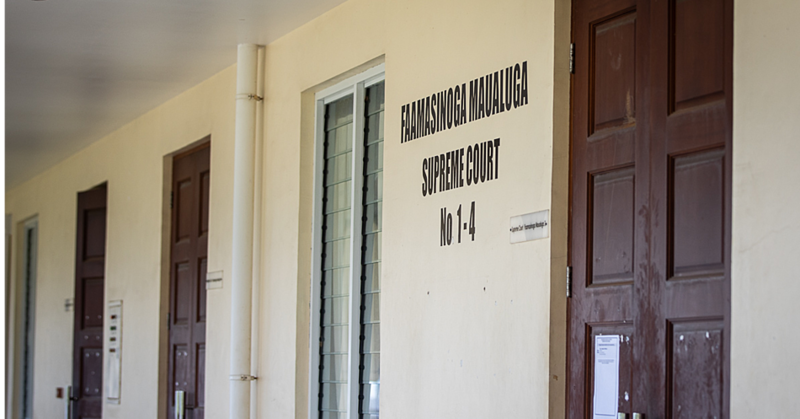 “The impact the offending has had on the defendant’s village is also significant as demonstrated by the victim impact report filed by the Alii and Faipule of Moataa." “It deals with the unsavoury history of the defendant in the village, how he has disrupted its peace and harmony and set bad examples to younger matais and non-matais." “It also confirms the permanent banishment of the defendant and his family." “I am not sure why the family has been punished for the defendant’s wrong doing, because his family has done no wrong in this matter." Justice Vui took into account the previous offending of the defendant. “Although committed some time ago, it was for an offence of dishonesty for which the defendant was sent to prison." “The purpose of sentencing the defendant in accordance with the Sentencing Act 2016 includes holding him accountable for the new dishonesty and the effect it has had on his immediate and the wider community." Justice Vui noted Levaea’s poor record as per the victim impact report filed by the Alii and Faipule of your village and that he was punished by the village. According to Justice Vui, the defendant chose to defend these charges. “There was no basis for his denials as noted in the court’s decision. The prosecution evidence was ‘overwhelming, consistent and persuasive’. “There is very little in your favour in mitigation Fofogamua. “Your ability as an orator is undoubted. I have heard you speak many times. “You possess a gift not given to many people. “Your prowess in sporting events, in particular, boxing is also commendable. “But none of these are mitigating factors for the purposes of sentencing. “Your counsel has also tried to argue that the offending amounts to you trying to obtain a matai title without the usual “saogamea”. “Unfortunately that argument is unconvincing. The offending arises because you went further than that. “You deliberately falsified an official document and led people to believe that in fact you were on the relevant date bestowed this orator title. Justice Vui accepted that Lavea has a good record of service to your family and your church. “I acknowledge financial and other hardship will result to your wife and your dependents as a result of your imprisonment. “But those are consequences that you by your criminal conduct have brought upon your own family. No one is to blame for that except you. On the charge of forgery of the saofai certificate, Lavea was convicted and sentenced to 18 months in prison. On the second charge of using a forged document convicted and sentenced to 12 months in prison, concurrent term.